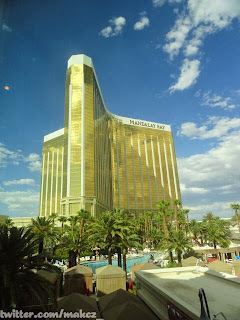 This week’s winner goes to @makcz for a simple but elegant picture of Mandalay Bay, poolside. It’s just a beautiful property, beautiful building. This picture demonstrations one of my favorite things about hanging out poolside at a Vegas Property and that’s just taking in the building and the setting around it.